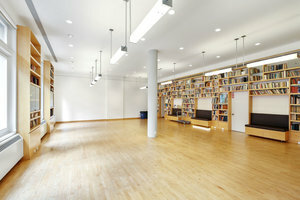 This multifunctional space is located on the third floor of a classic Upper East Side building. 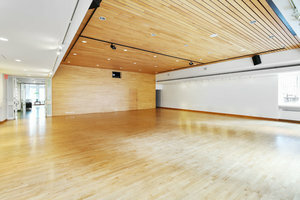 It is perfect for an Art Opening, Corporate Event or Showroom. The wooden floor and ceiling create a warm and comfortable atmosphere, making this multifunctional room very popular for hosting events. 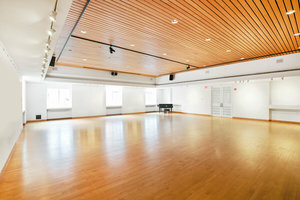 This space is incredibly adaptable, welcoming receptions and cocktail events as well as business presentations and showroom events. 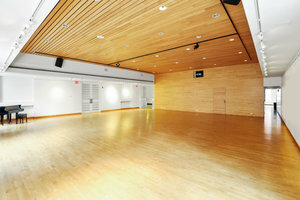 Facilities include multiple lighting options, a projection screen, counters and furniture. This space is situated advantageously in the Upper East Side. It is easily accessible and a great option for those looking for a space meant to impress.